Weddings don’t come anymore bright and colourful than this. 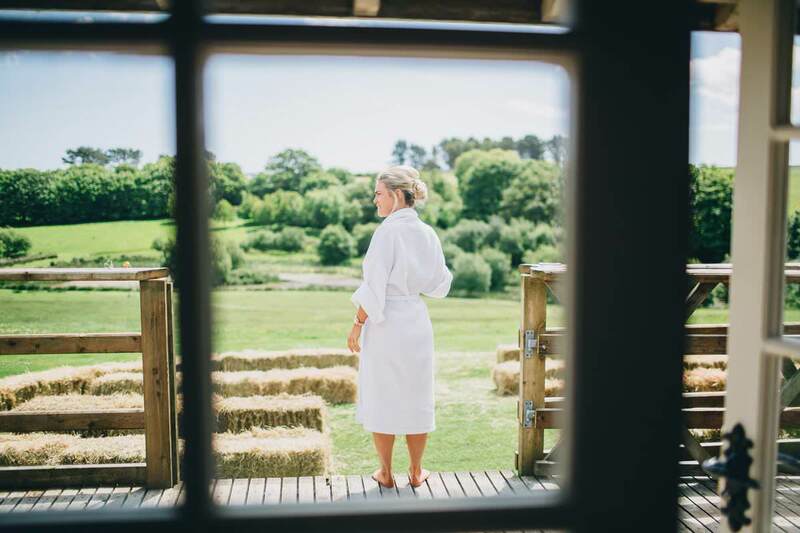 This is Stacey and Owen’s fab wedding at the even more fab Trenderway Farm wedding venue (which is fast becoming a favourite Cornish wedding venue of mine!). 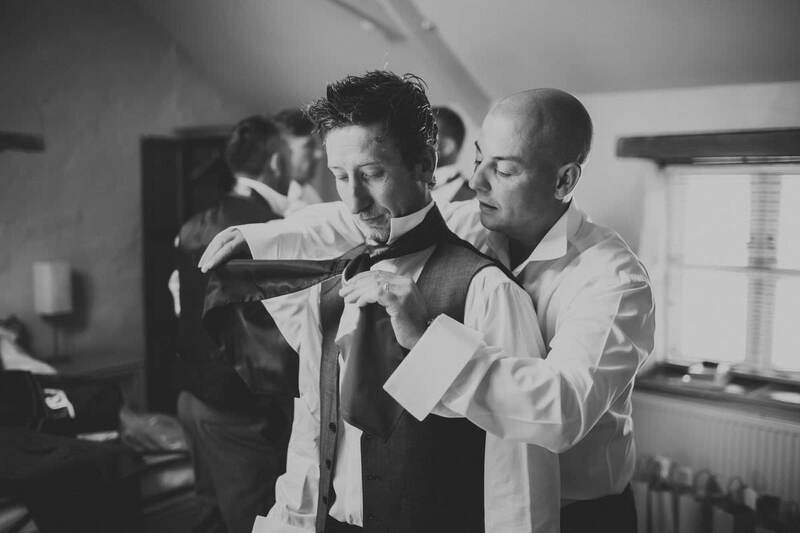 This is just a selection of what was an absolutely amazing wedding and such a beauty from last year, so really happy to be sharing this. Stacey and Owen came to me over a year before their wedding and I was super excited to be free on their wedding date. Even from the first email the wedding sounded like it was going to be so much fun to photograph. They both had such a clear vision of how they wanted their wedding to go and exactly what they wanted to achieve – and they did just that. The day was a complete success; relaxed, happy, filled with love and really postive vibes. 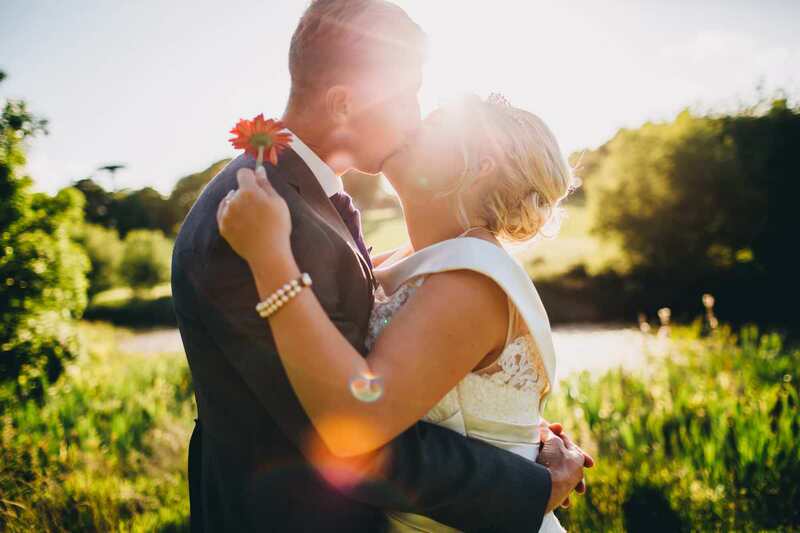 Their fab wedding was held at Trenderway Farm which if you haven’t been is in Pelynt, near Looe. 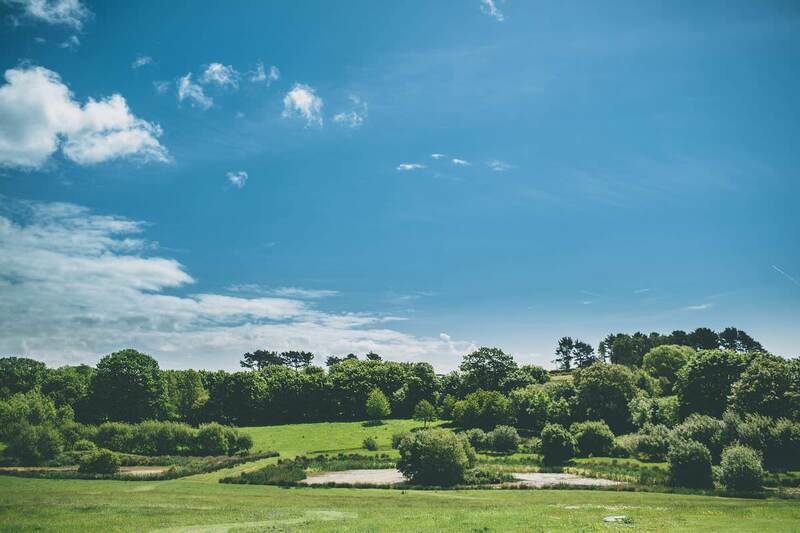 Trenderway Farm has some absolutely stunning scenery and is set in just gorgeous countryside; there is quite a few photos that show off just how stunnign it was, expecially on a sunny summers day like Stacey and Owen’s wedding. 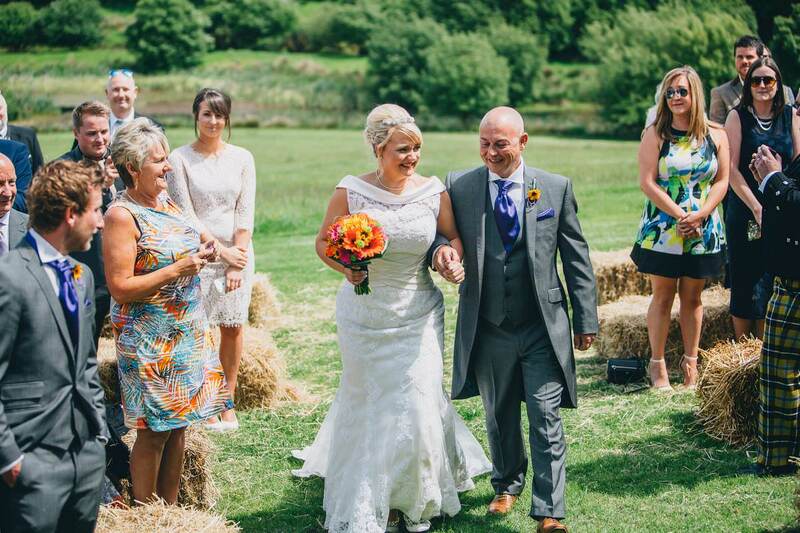 Their ceremony itself was held entirely outdoors, bathed in absolutely beautiful sunshine. As you can tell clearly one of the most amazing days of the year, barely a cloud in the sky. You can tell in the photos just how much this meant to both Stacey and Owen. 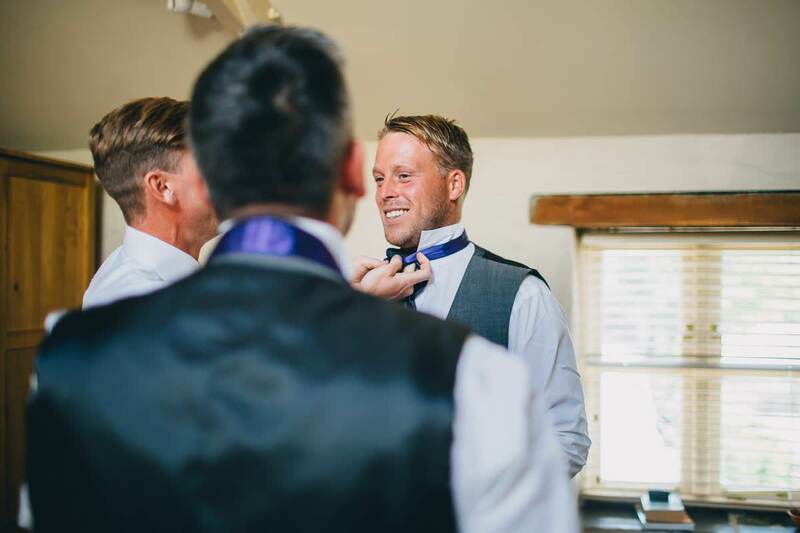 Owen was massively nervous beforehand and even his bestmen had a few tears in their eyes! 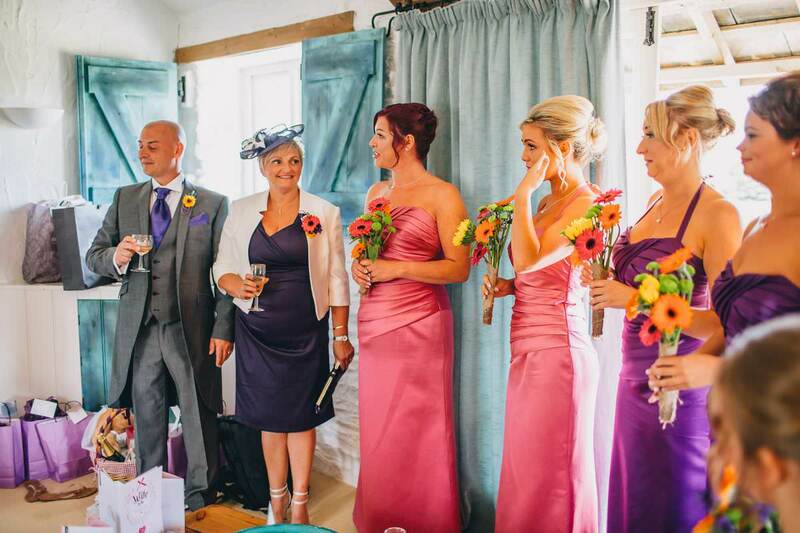 Speeches are generally one of my favourite bits of any wedding as they can be some of the funniest moments ever. this was no exception. Owen did get quite a grilling; there was an amazing video prepared by one of his best men of his younger years and the other best man rapped his whole speech. Absolutely amazing dedication! I only wish I could have been shooting video and photos at the same time to share with you all. I took the lovely couple out for a few minutes alone just before sunset. We hadn’t massively discussed where to go for photographs (I quite like this as it leaves me lots of scope to be creative on the spot!). They trusted me to get them some lovely photos. We took a walk around the grounds to find the sunlight and down to the huge pond area they have at Trenderway. 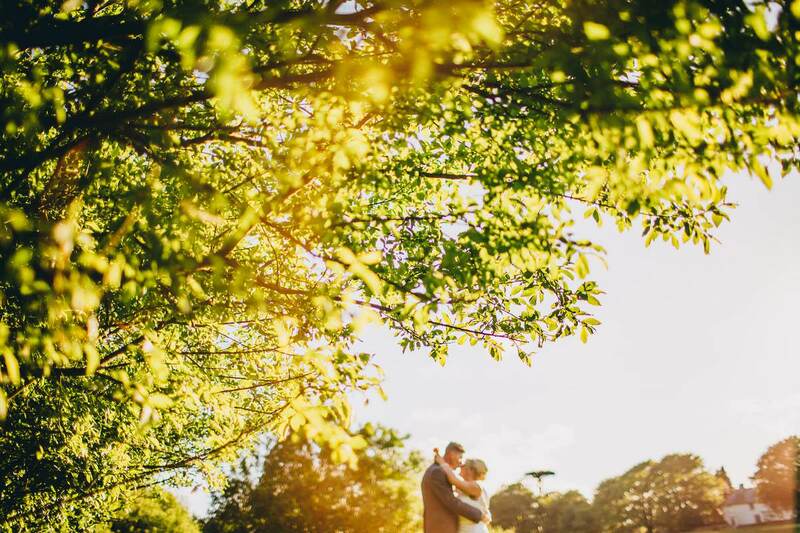 The light was insane, so gorgeous and golden, just what you’d expect getting married in Cornwall. On the walk back we found a lovely small road with the light blaring through the gorgeous tree’s canopy. Perfect! They danced the evening away in Trenderway’s super fab rustic barn – they completely decked it out for the occasion and it looks absoloutely amazing. They even got a live singer in for the evening. Their first dance gave me some of my favourite photos from their wedding. You can just tell how much of a special day it was to them both as they are looking at eachother wilst dancing. So much love! 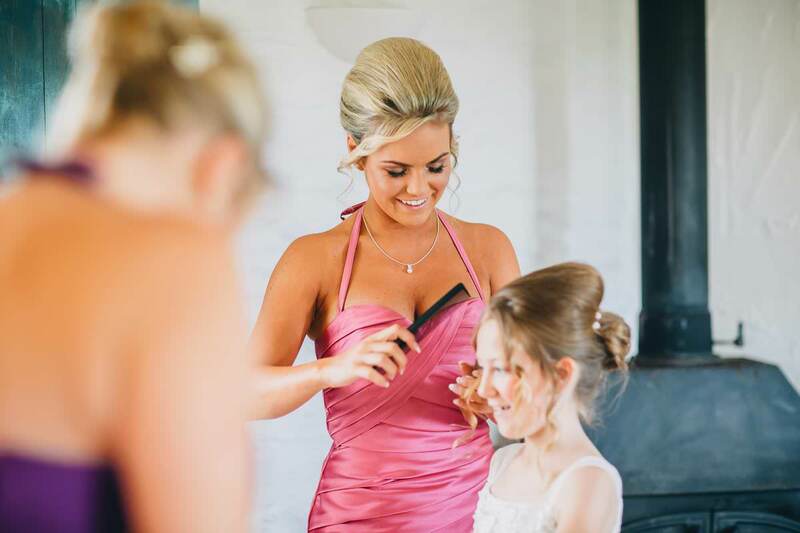 One of my favourite weddings of last year and I am so proud to have been apart of it!